In a culture of comic book heroes, it's gratifying to be reminded that there are real heroes out there. Every day the staff of emergency rooms throughout the world are saving lives - 24/7/365. 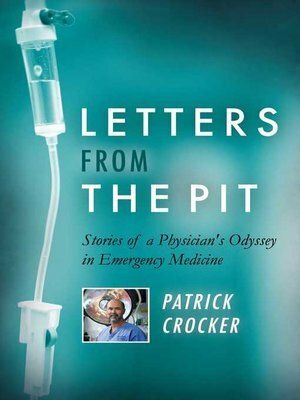 Dr. Patrick Crocker provides us an intimate glimpse into the growing mind of an emergency physician, from residency to retirement. Told in a unique first-person stream of consciousness style, you are right in the middle of the action, looking over the doctor's shoulder while he works. In this compilation of notable, frightening, funny, sad, and poignant cases, you'll see Dr. Crocker's struggles to Do No Harm in the most challenging of situations. Through these stories, you'll see him find the delicate balance between help and harm, empathy and self-preservation.